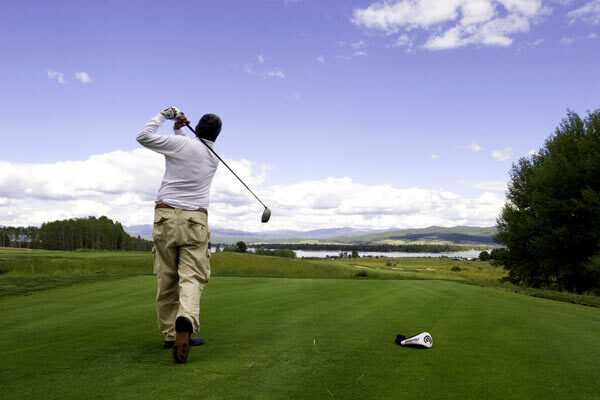 In the past, playing golf was a relatively sedentary experience that had little or nothing to do with the advances in technology. Needless to say, the clubs and balls that are used incorporate the most up to date features available on the market, but the average player would know very little about the processes that are involved. Generally, they just tend to walk up to the ball and hit it, without worrying much about the research and development work that goes on behind the lines. In the recent years, however, many players have begun to embrace global positioning systems (GPS) in a bid to ascertain correct yardages around the course. There are a number of satellite navigation units currently available in the market, and each one of them offers players an opportunity to find out exactly how far they are from the center of the green. This can make a huge difference to the overall ability of golfers at either end of the 'handicap' spectrum. Every regular player knows the importance of an accurate measure of yardage in the right 'club' selection, and therefore any gadget that gives accurate yardages from anywhere on the course will aid in the right club selection and thereby help improve performance. Using an eight-iron when a seven-iron would do the job better will invariably leave approach shots short of the green, and if a six-iron was used instead, the chances are that the ball will career through the green and into the rough. With many professional golfers around the globe willing to offer guidance and advice, there is no dearth of information on the internet on how you can improve your game, and one of the most common themes (arising from such discussions) is the importance of knowing your personal yardages. Every player is different, so it’s vital to ascertain how far you are able to hit shots with each separate club. Regular usage of a GPS system makes this a reality! For anyone who is thinking of purchasing a golfing Sat-Nav (GPS) gadget, the options are varied. There are handheld models which can be clipped on to the golf trolley, for example, and the more advanced units offer extremely detailed images of the holes, including the bunkers and water hazards. Another variant on the same theme is worn around the wrist. Although it would usually feature digital yardage distances instead of pictorial images, the information is nonetheless hugely helpful. For those golfers who are proud smartphone owner, an app installation will offer you in-depth details at the touch of the screen.